Final Fantasy XV Coming to PC "Early 2018"
So, I just found out that FFXV is coming to PC in "early 2018." I'm really happy about this, because this is one of the reasons I've thought about getting a PS4. I was hoping it would come to PC, so now I don't need to get a PS4 to play it soon. I don't mind the wait. It seems to be popular, from what I've read or "heard" about it. I did rent the FFXV movie and it was cool. What do you think? Are you excited, too? Watch the trailer embedded above to see the Nvidia FFXV tech preview. 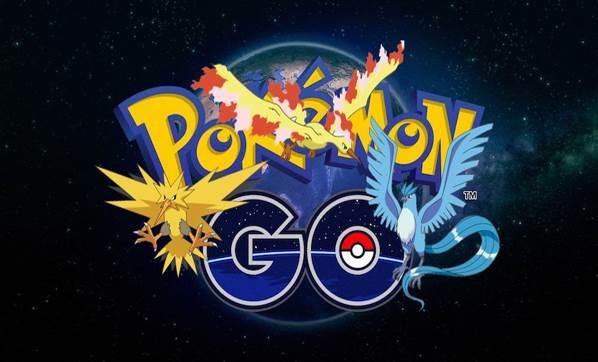 If you haven't been paying attention, then there's some legendary news for Pokemon Go! A Pokemon Go Fest was hosted in Chicago in which many players came together for a chance to reveal a legendary Pokemon. Play. "In order to make a Legendary Pokemon appear, players around the world will need to capture a certain number of monsters during the event's Challenge Windows. If the players at the event are able to defeat the Legendary Pokemon, it will begin appearing worldwide. Based on the recent live-action trailer that Niantic released, it appears Legendary Pokemon will be fought the same way as standard Raid Battles, so players will need to cooperate to whittle away its health and defeat it." As it turns out, Team Mystic won that event and now Articuno and Lugia are available ever where. It seems you're able to get one by doing the new "raid" battles, but I haven't even messed with gyms yet, so I haven't tried raids. I thought I read that you could get lucky and get an egg from a gym and it hatches into a legendary. I also believe I read that you cannot leave a legendary Pokemon at a Gym. Ark: Survival Evolved has been in Early access for two years now. Since then I've put in 2,270 hours, which speaks for itself, I obviously love this game! The second anniversary recently arrived and I was thinking of writing a post, explaining my story with Ark. 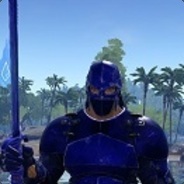 I've played mostly in single player, but I did join a group on an official server and enjoyed that as well as I made new friends. There's a special edition coming out that I'd really love to have. The only problem is that I already spent < $30 on the base game and it's retailing for double that. It also comes with a Season Pass and the video just states that there's more to come. I recommend hurrying up and buying it before the price changes. The game now contains over 1,000 characters and official maps. The default map (referred to as The Island), Scorched Earth, The Center, and now Ragnarok, which is the newest addition, added yesterday. I can't wait to give this map a try, especially since there are Griffons. So, if you've been waiting for Ark to leave Early Access, your wait is soon over. Even with a beefy system like mine, I'm still looking forward to the game getting optimized. There are places in-game where my frames go to die, but other than that, it's a great game, I absolutely love. There are plenty of mods, some of which I still use to improve my game's Quality of Life. If you've been holding out on Ark, do you think the time is coming for you to grab it? I strongly recommend looking at the system requirements. I strongly recommend playing this on a beefy PC, but it will also be available for the XBox and PS4. Magikarp has always been a bit of a sad Pokemon. They’re almost completely useless, although they do redeem themselves when they evolve into Gyarados. However, that has now changed and Magikarp gets its own game called Magikarp Jump. It is free for Android and iOS. The point of the game is to raise a Magikarp and win jumping contests. The higher a Magikarp’s JP (Jump Points), the higher they are able to jump in the air. There are jumping leagues full of battles to win against other trainers. To begin, the game gives you an introduction and takes you to catching your first Magikarp. Once caught, it will stay in your pond, which can be decorated. Food will fall into the water and you can tap on one to get your Magikarp to eat it. This will increase it’s JP, but you can also train it. Training doesn’t require input from the player, Magikarp will train on its own. There are also other Pokemon in the game, which often offer support. You can obtain some by playing, but you can also use some of the game’s currency to buy new ones. I have a Pikachu and Piplup that I acquired by progressing through the game. I also have a Litten that I bought with in-game currency. When they get an exclamation mark above their head, I can click on them to get various bonuses. They also appear during jump battles and provide additional support. Each Magikarp is limited by how high it can level up. Your first one can only get to level 11 or so. As you progress in the game and gain experience, your character’s rank will go up, which will allow you to catch Magikarp that can level up higher. Their higher levels allow them to have more JP. Once you reach a Magikarp’s max level, you’ll need to finish a league and (win or lose), your Magikarp will retire afterwards. Then, the game lets you catch another one. There are a variety of random encounters that can occur. Some of them require your input. In one, for instance, you see something shiny and have to decide whether to get it or leave it alone. If you get it, it could be something valuable, like a diamond, or a piece of glass, which will take away some of your JP. I was told, by a friend, to be careful of a certain random encounter in which your Magikarp can be taken away by a Pidgey. As with most free games, you can spend real world money to buy in-game items or currency. Perhaps this would help reduce the amount of time you have to wait for your training sessions to refill. I’ve only just begun, but so far I don’t see a real need to spend any real money on the game. It does seem kind of cool, so I recommend checking it out, if you like Pokemon. So i've played this a bit and it's fun but not much more than that. I sort of think of this game as a "clicker" kind of game but instead of clicking you wait for your ability to collect food and train your Magikarp. It's more like a clicker game in that when you Magikarp looses you get a new one and start over again and then if you upgraded you ability to gain EXP from food and training you can level faster. I haven't gone too far with the game because i'm not sure there is much compelling me too but it's nice to see smaller games from Nintendo and this seems right at home on the iPhone. Yeah, you made a good point in the second paragraph. I still play daily. I have quite a bit of things. I've caught rare Magikarp, the gold one and the pink one. There are plenty of things going on with the game. Often after training you'll run into an event and have to choose what to do. In one case, it looks like a Pokeball. If you grab it, it could be coins, or a Voltorb, which will kill your Magikarp. There's also a tree of fruit, but if you try to get it, you're likely to see a Pidgeotto take your Magikarp away. Agreed Jon. I tried this out and kinda fell into the same spot. I didn't really know how to put it but you hit it on the head: It feels like a clicker. Those random events that you run into are interesting because they distract you from the core gameplay, which is good because there's not a lot going on. You're kinda watching the game happen and pushing a button to make sure it keeps happening until those gambling elements present themselves. But then the App Store reviews are insanely high so I think it's just that this is not my type of game. Twitch Prime members have new loot to grab including Oxenfree, NBA2K17, and a "Star Wars: The Old Republic - Eternal Throne Ultimate Pack." There are only 3 days left to get Oxenfree and the Star Wars pack, but NBA2K17 ends on the 22nd. I personally don't know anything about these games, but I thought I would bring it to your attention. You have to create a STWTOR account to claim the code, which I did. I downloaded the setup file, but that's as far as I've gotten. I've downloaded other games offered by Twitch Prime including Punch Club (recommended by Jon) and This War of Mine. TWoM appears to be similar to Fallout Shelter, so I want to give it a try. It also seems to have some great reviews. Login to your Twitch account (if you've already linked up with your Amazon account) and check out the notification. Quick correction, it isn't NBA2k17, it's in-game loot for NBA2k17. But I finally got my accounts linked! I've tried three times and this time it would finally link them for me. Thanks for the correction! That's good that you got your accounts linked, I didn't have any trouble. Got SWToR goods and the free game, thanks Greg! Thanks for the heads up. I grabbed the game and Star wars stuff too. You're welcome, too, Tim! I grabbed the Star Wars stuff, Dungeons 2 (from Humble Store), and Oxenfree. Thanks Greg, picked that up! You can get Payday 2 for free on the Steam store, for a limited time (until supplies last). It seems if you claim a copy now, it's free for an unlimited time.